Malton Riding-Club Intermediate SJ Northern Regional Champions! Fantastic day at Bishop Burton. — with Jess Johnson, Nicky Lyons and Becky Blyton. Would like to say a massive thank you to Manor Grange for a wonderful venue. The DTM day was more like a ladies that lunch day! Thank you to all the helpers from the club’s involved for giving up your time and especially Denise for organising the day! Congratulations to all the riders and good luck to those of you who have qualified for the championships. Go strut your stuff and hope you bring back some pretties to area 4! Even I managed to ride and my pony was good so the day couldn’t have been any better. Please check them and get back to me with lash ups. In view of the fact that I am late with the times and that there are no teams, there is no final date for changes. If you do have any, you can let me know before hand but please fill in the change form and bring it with your declarations . Declarations should reflect what you are actually entering. Please note that for the Jorvic is a championship and therefore BRC rules will apply, whips will be allowed but no callers. I have tinkered a bit with the times to try and stop people having to wait too long between tests. But one important factor is that I had the mediums/advance mediums wrong. Stupidly I went by the rule change link which gave new tests as 71 and 90. Could all of the clubs who have entered the Medium and advanced medium please confirm with me you have this email? I have given you all numbers now too. Please use bridle numbers if you wish but I have card ones if you would like to use them. Can I remind you to please not tie your horses up to side of wagons or trailers with hay nets. Please be aware that there will be music tests at the same time as warm up and the Jorvic, but the speakers are not adjacent to the non music arena. Good luck everybody and see you there. Any questions please get back to me asap. As most of you are BD people, I am guessing you have bridle or saddlecloth numbers. To save us all money, please bring them. For those of you who don’t have bridle numbers, please tell me and I will sort you out with left over numbers from last weekend. Please find attached the revised times to be published after changes from clubs. Apologies for the delay. However, 4 clubs sent their changes in after the deadline (5PM PROMPT on TUESDAY before the competition). It has taken two of us all day (and last night), in order to get them ready to send out. 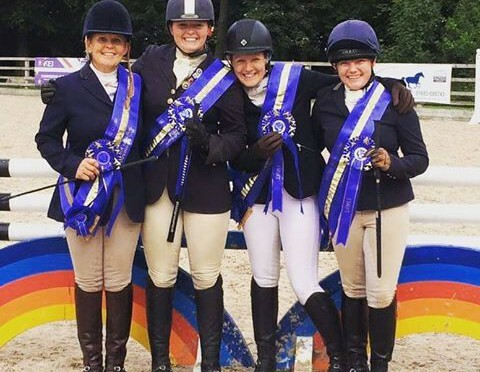 I have used acronyms for the classes, so please don’t be offended!, there are lots of “SOD”s – eg Senior Open Dressage, but it should all be fairly straight forward, JD – Junior Dressage, JSJ – Junior Show Jumping, SST – Senior Style Jumping and so on. The times are on two separate spreadsheets for each discipline. PLEASE CHECK these very carefully as they are extremely complicated, ie. junior riders for the Show Jumping are tight as we have few entries with a handful of riders competing in a number of different jumping classes and therefore very little time between classes. As there have been so many changes, please check BOTH DAYS very carefully. All the very best of luck to you all at the weekend, fingers crossed the weather will hold.